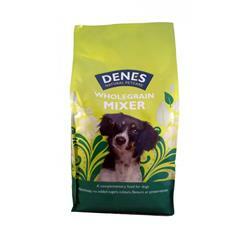 High fibre mixer suitable for all dogs providing extra roughage and exercise for the teeth and gums. Can be fed alongside our canned foods or Select range. Provides extra vitamins minerals and trace elements especially calcium. May help in the dietary management of diabetes and some forms of colitis.